Weather: Perth 23°C - 33°C . Windy. Partly cloudy. RUSSIA has opened a fraud trial against Sergei Magnitsky, a lawyer whose prison death in 2009 led to the biggest US-Russia dispute in years, despite protests by the defence it is illegal to try a dead man. The Magnitsky family's defence lawyers are refusing to participate in an "unconstitutional" process against a dead man, forcing the judge to adjourn the hearing until the new year. "The preliminary hearing into Magnitsky's case has been moved to January 28 due to the absence of the lawyers from the defence," the press service of the Tverskoy district court in Moscow told AFP today. 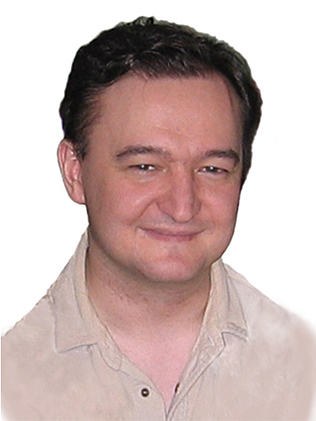 Magnitsky was arrested in 2008 and spent nearly a year in squalid prison conditions, dying at the age of 37 of untreated illnesses. A report by the Kremlin human rights council last year said he was tortured and handcuffed in his final hours. Before his arrest, the lawyer said he uncovered a tax scam worth 5.4 billion roubles against the company he worked for, investment fund Hermitage Capital, which involved interior ministry officials. But he was then charged with the very crimes he claimed to have uncovered and was placed in pre-trial detention. The case was closed after his death but then reopened in August 2011. Investigators had said in February they planned to put the dead man on trial. Russian prosecutors last month sent the case against Magnitsky to court. Magnitsky and his former employer - the head of Hermitage Capital William Browder - are accused of tax evasion worth 522 million roubles ($A16.4 million). Browder - who is currently based in London - is being tried in absentia. Nikolai Gorokhov, a lawyer of Magnitsky's family, told AFP he has "no plans to participate in an unconstitutional affair". Despite a request by Magnitsky's relatives not to launch the fraud probe that has been closed after his death, it was reopened at the request of the prosecutors, said Gorokhov, adding that this violates a decision by Russia's Constitutional Court. Gorokhov argued that a legal case could only involve a dead man if it was aimed at quashing a previous conviction or rehabilitation. Browder also denounced the trial, calling it "an act of reprisal against those who exposed the criminal group of corrupt officials", Hermitage Capital quoted him as saying in a statement. Browder had spearheaded the campaign to punish those allegedly responsible for Magnitsky's death, with the United States passing this month the Magnitsky Act, which blacklists such individuals. In response, the Russian parliament has passed a law banning adoptions of Russian children by Americans. The law is awaiting President Vladimir Putin's signature. LEWIS McPherson should have spent yesterday celebrating the start of 2013 with his mates. Instead, shattered friends and family gathered to lay flowers on the Warradale street where the popular 18- year-old was shot dead. RISING Gold Coast Suns star Harley Bennell faces two charges after a New Year's Eve brawl in Western Australia. MORE than 80 people were arrested for drug possession at today's Summadayze music festival. A MINISTER'S answer that she could live on the dole has been marked as "inaudible" in the official transcript from her office. Watch the video. It's amazing none of these were fatal accidents. These tips will help keep your house safe while you take a break. Learn winning tips from iinet HOOP SHOOTOUT winnersfor your chance to WIN a share in $50,000! Discover Something New with moshtix and WIN $1000 worth of gigs for you and your mates! Glum to Glam! Be pampered and save up to 70% off Health & Beauty. See Today’s Deal now. Hunting for growth in a bear market? Find out more here.